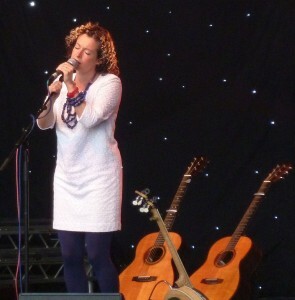 We had a great evening at the Kate Rusby concert at Cannon Hall Farm yesterday. We’d wondered about the good sense of going along; the weather forecast had been decidedly dodgy, and neither of us had been to this type of open air concert before. And Mike was a bit peturbed at the prospect of missing out on the first Dr Who episode of the new run. But I was hugely glad that we did go. The weather was great and the second half of the concert took place under a very dark, starlit sky. People had taken along little lights and candles, and there was a lovely air of local people enjoying themselves together. 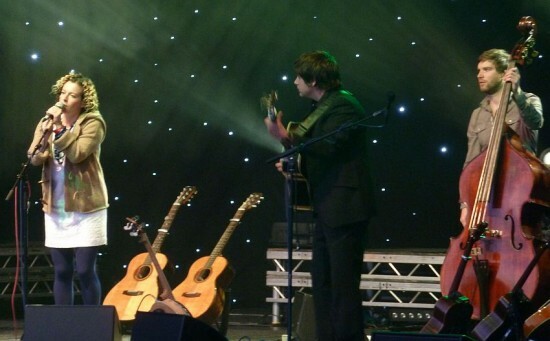 That was made all the more special by the fact that Kate Rusby’s very local too and was very happy to be playing at home. Kate and her band took us through traditional folk songs along with some of her own; delicate songs of love combined with humorous lessons on disrupted relationships. The setting for the concert, at the edge of an open farm, was a delight. The huge stage was at the bottom of a bank, and I’d be pretty certain that everyone had an excellent view. I loved it. The whole experience was quite magical. Even given that Mike’s one of those furiously organised people who insists on leaving as soon as the last song’s announced. So we listened to “Underneath the Stars” on our own in the car park and managed to beat the rush of people leaving. “That was great, wasn’t it?” I asked him as we pulled out of the farm. With enthusiasm like that, I think we might make a Yorkshireman of him yet. Hi, I’m dropping by from FTLOB this morning. I’m not familiar with this artist but I do love going to live shows. I love feeling the energy of the crowd combined with the music you love. Thank you! This was the first time we’d been to something like this outdoors and we really loved it (so much so that we’ve been to the same place this evening to see another concert!). I’ve had a four-day weekend this time, and sometimes it’s so tempting to just sit around relaxing. I’m so glad that we’ve done something a bit more memorable. —So glad that was a magical time for you. It sounds delightful. I would have gone to something like that (For Sure) ! One of the things I loved was that there were all sorts of different groups of people there – couples and families and groups of girlfriends all out together for the evening. I think it’s the kind of thing that anyone could really enjoy. Glad you had a great time and I am super impressed with that second photo that looks like a professional promo shot! Wonderful. Thank you so much. I’ve learned so much about photography this year, and particularly about composing a decent shot. I’m really starting to feel that learning every time I take a picture – I don’t feel as though I’m just ‘snapping’ any more, and I find it gives me so much more pleasure that way. Sounds like a really fun evening! 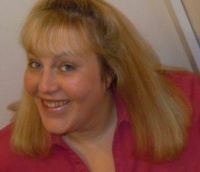 Stopping by from the Lady Bloggers tea party! Hello! Lovely to have you here! It was really fun – I’m still smiling about it now!